Ahh, the internet. A consumer-review website claims in Federal Court that a string of fraudulent “reputation management” firms copy its customer reviews and post them on fake “news” sites, backdated, then tricks Google into delisting the reviews through bogus copyright claims. Consumer Opinion, a Nevada LLC, claims the defendants do this to get Google to remove the bad reviews, if the targets themselves won’t. Consumer Opinion LLC runs the website pissedconsumer.com. It sued four business owners, their allegedly fake news agencies and authors, and four businesses that allegedly hired them to scrub the Internet of negative content. The lead defendants in the Sept. 2 lawsuit are Frankfort News Corp. and Frankfort Herald News Corp. All the allegedly fake news organizations are described as “an entity of unknown origin.” Among the defendants are Hearst Media and LLC and Hearst Broadcasting Networks. Hearst, the well-known media chain, goes by many variations of its corporate name, but so far as Courthouse News can determine, these two defendants are not among them. In other words, there is no guarantee that these defendants are part of the Hearst empire. The main targets of the lawsuit appear to be four men, from three countries: Juuso Haggman of Finland, Mitchell Shook of Washington, Aluddin Ahmed of Illinois and Muhammad Ashraf of Pakistan. Consumer Opinion calls them co-conspirators who registered domain names for fake news sites, including palastinetimestoday.com (Ahmed), frankfortherald.com (Shook), and mashablecity.com (Ashraf). 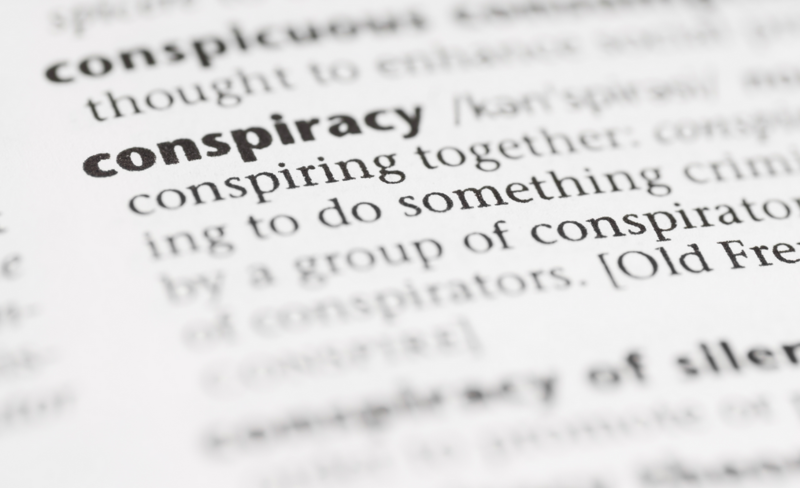 Consumer Opinion claims that four other defendant businesses that benefited from the conspiracy told the fraudsters to carry out their scheme or knew of and approved of it. The “benefiting defendants” are Phillip Cannela, a financial adviser in Philadelphia; Brad Kuskin, a consultant for defense attorneys in West Palm Beach; Marvellane Farms Ltd., based in Ottawa, Canada; and Wagner Trucking, a hauling business in Minnesota. When reached by phone, two of these business owners denied any knowledge of a scheme to violate copyright laws and commit fraud to delist negative reviews. Jeremy Wagner, owner of Brandon, Minn. -based Wagner Trucking, said he was not aware that his small trucking business had ever hired a company to get rid of a negative consumer review. A co-owner of Russell, Ontario-based Marvellane Farms, who declined to give her name, said she hired a business to remove “defamatory” content about her company but had no idea that illegal methods might have been used to take down the review. “I did find it amazing that they could take it off so easily, because I had hired a lawyer before, but they said they could do it a lot more easily and a lot cheaper,” the woman said. After the review was delisted from Google, she said, the reputation management company made her pay again to get a second, negative article removed. She declined to give the name of the company. Consumer Opinion says the defendants have “gotten away with the scheme for a number of months.” It cites four examples in which Google delisted reviews after receiving allegedly fraudulent copyright notices, between December 2015 and May this year. Consumer Opinion claims the defendants take advantage of the fact that preliminary injunctions are seldom granted in defamation cases. Instead of going through the courts, the conspirators abuse the process of getting search engines to delist infringing content, the plaintiff claims. Consumer Opinion seeks an injunction and punitive damages for unfair and fraudulent business practices, civil conspiracy, abuse of process and violations of the Copyright Act. It is represented by Marc Randazza in Las Vegas. An email seeking comment from the operators of the only alleged fake news website still functioning — mashablecity.com, went unanswered on Tuesday.